Advanced Composite Industries offers a number of carbon fiber skins on its industrial machine products. ACI also offers a carbon fiber hybrid skin as a product in its own right. 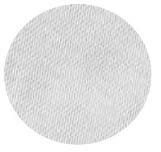 ACI also offers chemical coatings for UV and other applications. 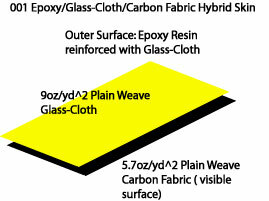 Photograph shows the 5.7oz/yd^2 Plain weave carbon fabric, the glass-cloth not visible. The glass-cloth provides damage protection. The 001 Hybrid skin is the basic skin on ACI's Carbon Dial Tables and Carbon DiscPlates. 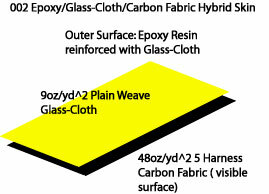 Photograph shows the 48oz/yd^2 5 Harness Satin Weave carbon fabric, the glass-cloth not visible. 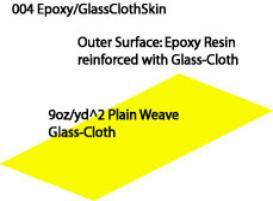 The glass-cloth provides damage protection. The 002 Hybrid skin is used not only on Carbon Dial Tables where additional stiffness is required, but also in the manufacture of a Carbon Machine Cover which are products in there own right.